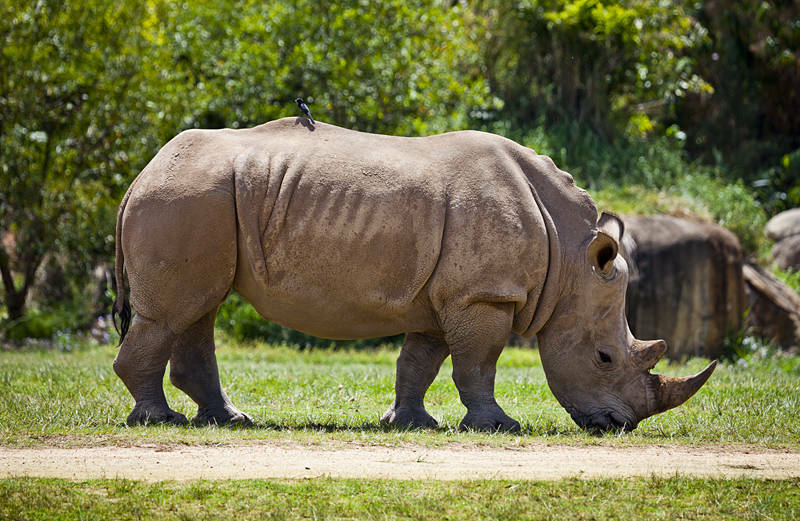 This is a Southern White Rhinoceros at Australia Zoo on the Sunshine Coast in Queensland, Australia. The wild population is about 20,000. However the Northern White Rhinoceros has effectively become extinct recently. Only 3 animals remain in the wild. The Kenyan Government put the last male under 24hrs armed guard to deter poachers. The horn of the rhino is valued higher than gold. Thoiry Zoo in France lost one of their Rhinos to poachers in 2017.